With Christmas only days behind us, there’s no reason to put the holiday celebrations to rest just yet. In fact, several destinations continue festivities well into the beginning of the new year. Québec City and Montreal host impressive winter carnivals that delight all ages and run from January to mid-February. During that time Quebecers embrace the frigid northern temperatures and bundle up to head outdoors for toboggan and sleigh rides, magical night parades, outdoor concerts, and to take in all the sights and sounds along the glistening snow-covered sidewalks and city streets. 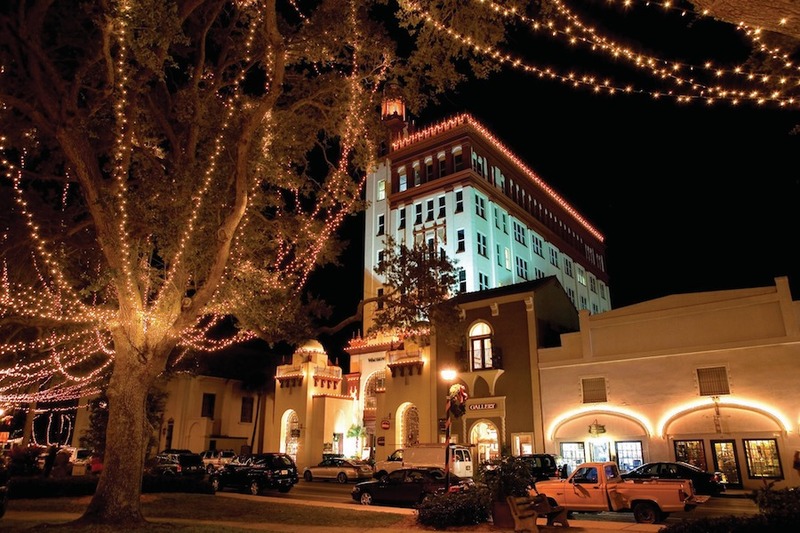 In a slightly warmer destination in the southern U.S., millions of twinkling lights adorn Florida’s Historic Coast in the Nation’s Oldest City, St. Augustine, and the neighboring resort town of Ponte Vedra. The Nights of Lights Festival runs from just before Thanksgiving to January 31, so there’s plenty of time to see this brilliant and dazzling display during the holidays and the first month of the year. 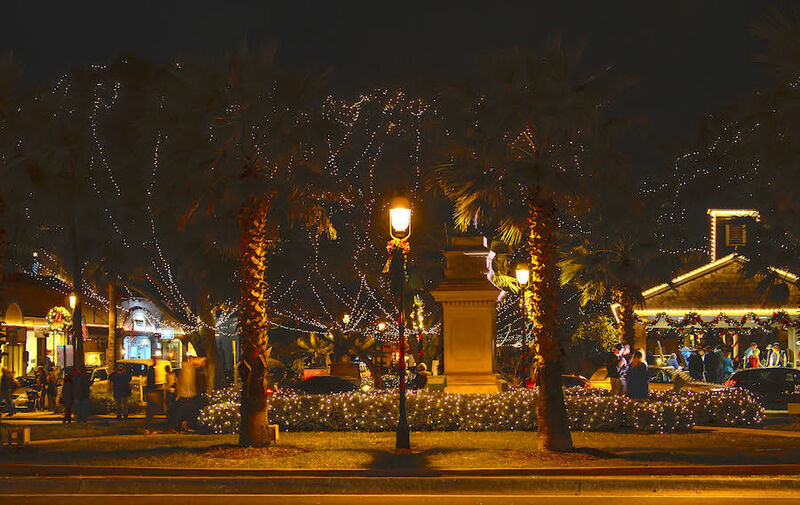 From the city’s main square at Plaza de la Constitucion to hotels, shops, businesses, museums, local B&Bs, and even the palm trees, the entire city decks out to participate in this annual festivity, now in its 23rd year. 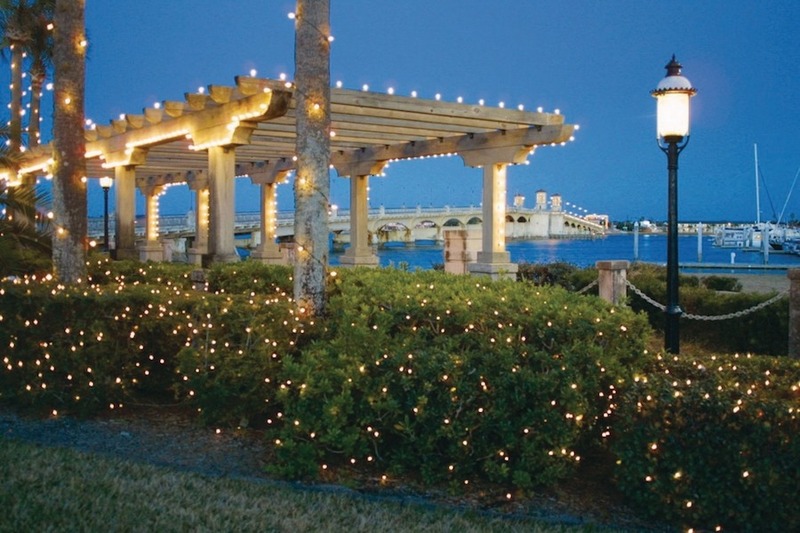 Some of the best views of the lights are looking back at the sparkling bayfront from the Bridge of Lions, which connects the city to Anastasia Island across Matanzas Bay. 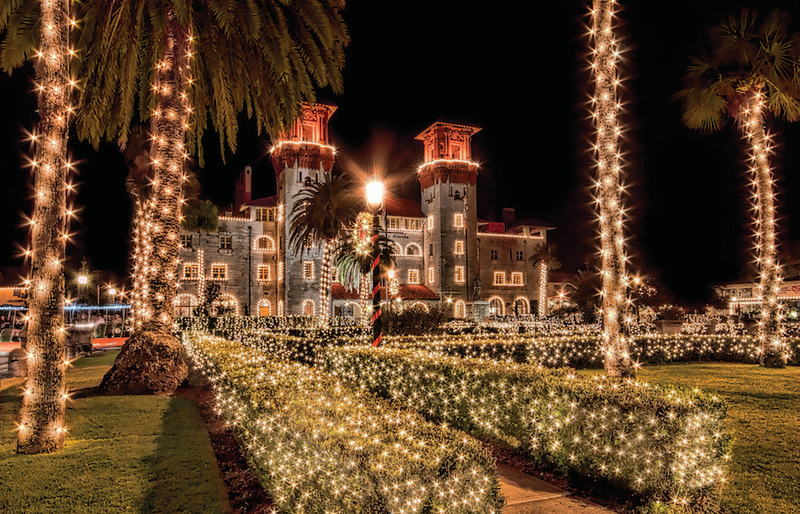 Known as one of the most magnificent light displays in the world, a trip to St. Augustine during this time of year is a memorable one. The tradition of the lights is part of a Spanish custom dating back 450 years when a white candle would be lit and placed in a window during the Christmas holidays. While the notion of a single white candle has exponentially multiplied to over 3 million twnikling white lights, the spirit of the age-old tradition lives on in the city to this day. 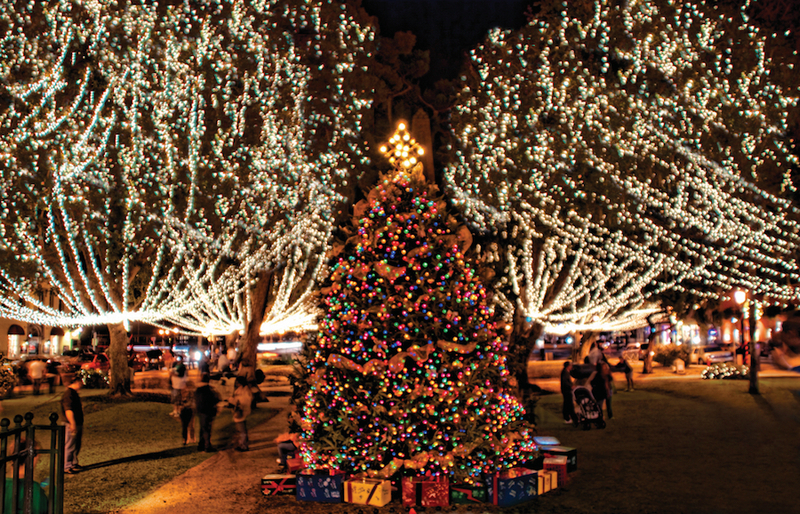 Take one of the nightly horse and carriage rides, trains and trolleys, boat tours or enjoy aerial views by helicopter to see the extraordinary light displays. 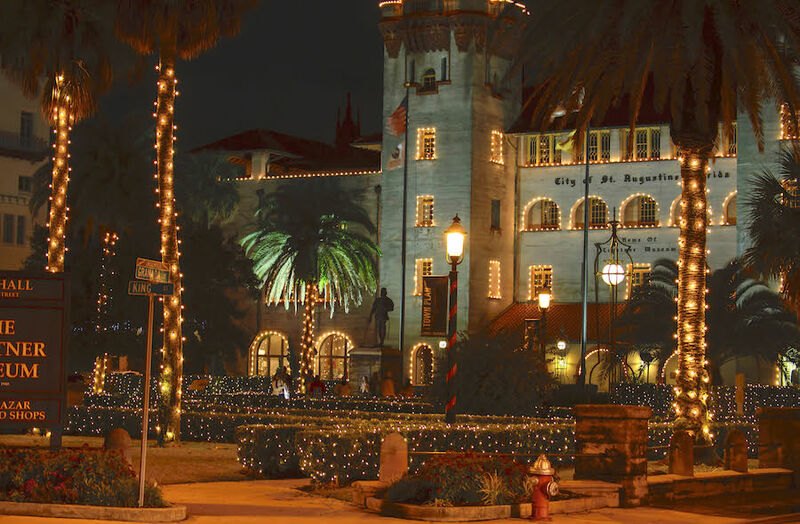 During the day, explore the Dressing Downton exhibition at the Lightner Museum, visit the architecturally beautiful campus of Flagler College, stroll the streets of this historic city, or visit Castillo de San Marcos National Monument. Dating back to 1695, this is the oldest masonry Fort in the United States. When it comes to dining, an old favorite is the Columbia Restaurant. The Florida restaurant chain (with seven locations) has been in business for over 110 years and serves Spanish and Cuban-style cuisine. Be sure to try their famous “1905” Salad. Tossed tableside with a garlicky dressing, chopped iceberg lettuce, ham, Swiss cheese, and other goodies, the recipe was created in Tampa’s Latin district of Ybor City. There are plenty of attractive alternatives to this Florida institution. For a casual eatery try Catch 27, which serves fresh locally sourced seafood with a Southern slant. Accommodations range from historic B&Bs to small inns and modern larger chain properties, but make reservations to stay at the newest hotel in town, the Marker 8 Hotel & Marina. With 26 nautically themed rooms, this boutique property along the bay affords some of the best views of the city’s skyline. 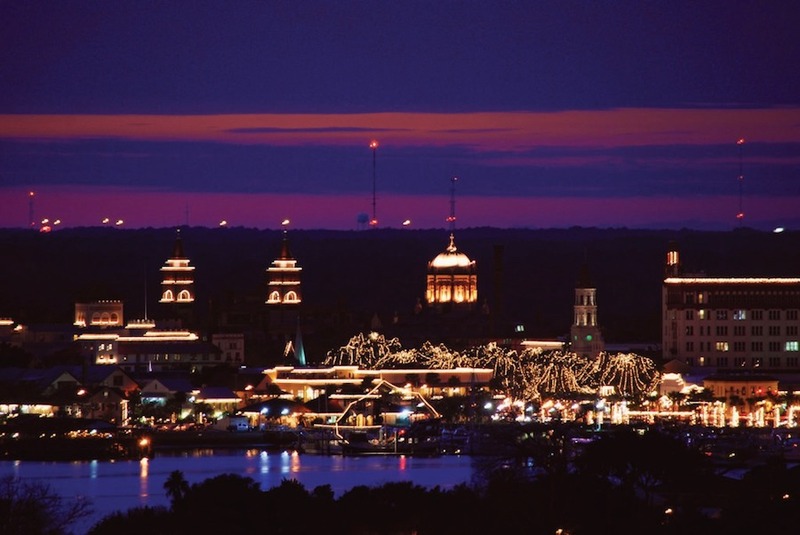 For more information on planning your trip to St. Augustine and Florida’s Historic Coast, please visit their website.